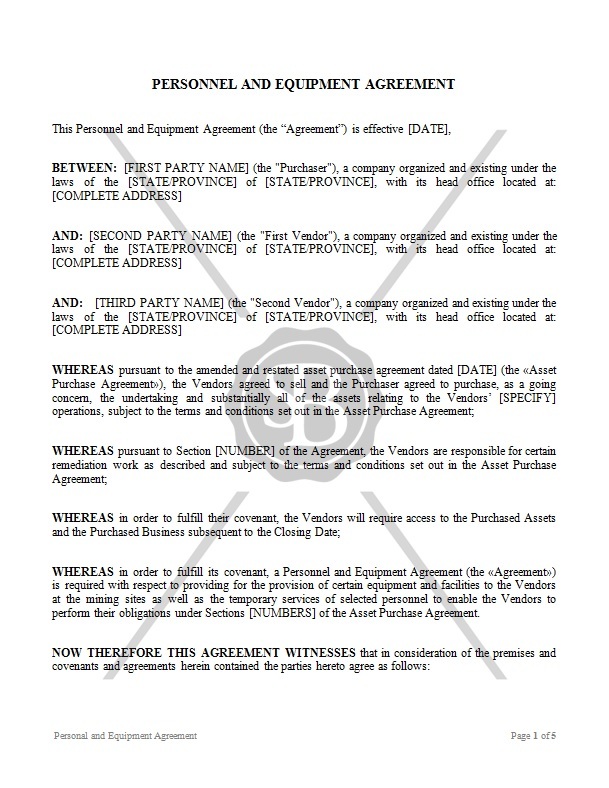 This Agreement is made between three parties; the Purchaser, the First Vendor and the Second Vendor. The Vendors agree to sell to the purchaser assets relating to an operation and the Purchaser agrees to buy. The Purchaser also agrees to provide to the Vendors equipment and personnel in order to perform their obligations.